From a portrait of Emperor Alexander I, after 1815, unknown artist. Alexander I was Russia's Emperor from 1801 - 1825. He was one of the main reasons why Napoleon I Bonaparte was eventually brought down to his knees. Alexander's famous grandmother was Catherine II the Great. 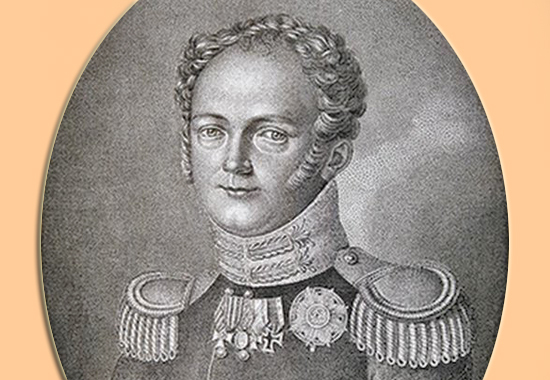 Alexander's father was Czar Paul I. One of Alexander's best friends, and comrade-in-schemes against the French, was Gustaf Mauritz Armfelt. One of Alexander's first actions as czar was to dissolve the Armed Neutrality of the North. This neutrality had been an agreement between Denmark, Sweden, and Russia, which had already caused the Danes some headaches in form of the Battle of Copenhagen because the English didn't like the agreement either. Crisis emerged when Napoleon I invaded Russia on June 24, 1812. Russian and French troops clashed in the Battle of Borodino on September 7, 1812. 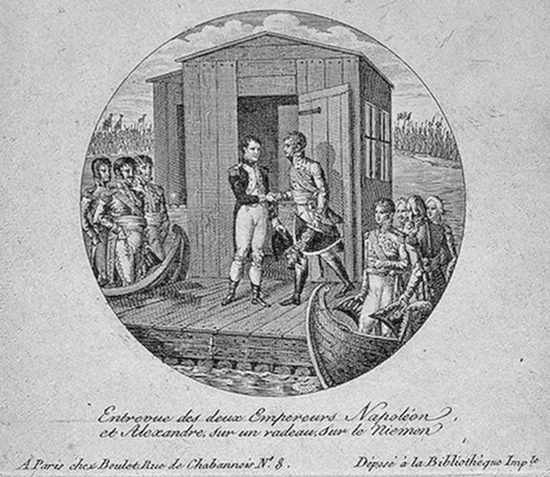 Napoleon won a narrow victory and was able to enter Moscow without resistance. Desperate to shake off the French, Czar Alexander was eager to united French enemies, and on March 11, 1813, President Madison "willingly accepted" Russia's offer to mediate between Great Britain and the United States. Upon Alexander's death, his brother Nicholas became Russia's next czar.